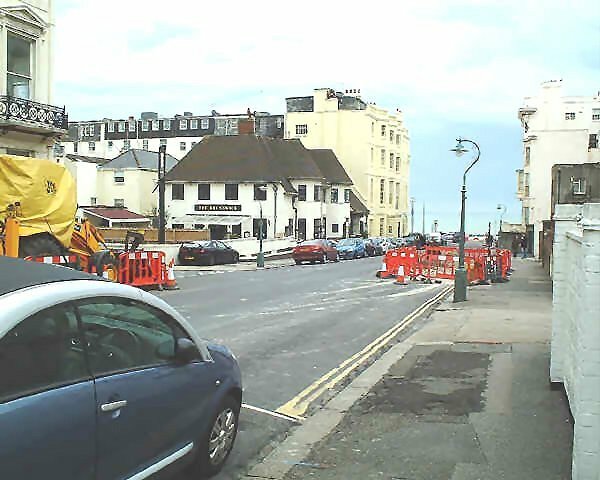 View along Holland Road, Hove, looking towards the town. Photograph dated 15th March 2008. 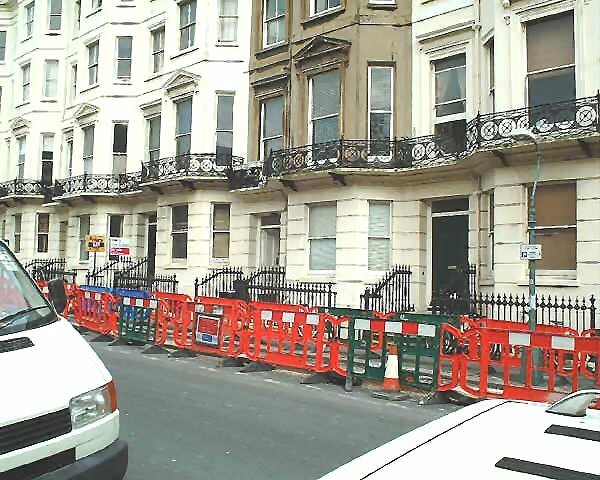 Holland Road, Hove, looking towards the sea at the end of the road 15th March 2008. On the left is "The Brunswick" pub. Hove is immediately west of Brighton in Sussex. These views show Holland Road. 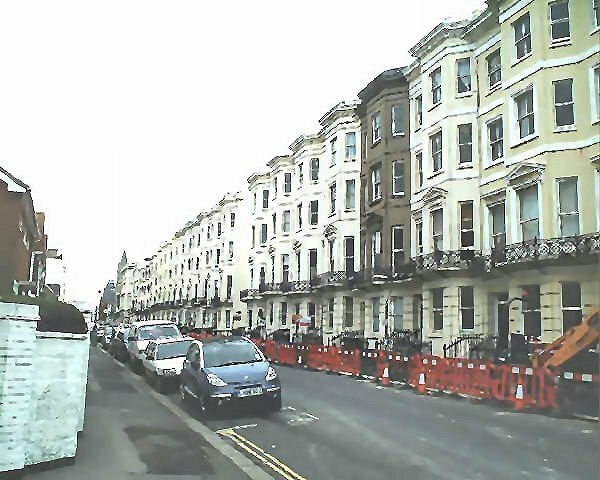 View of buildings on Holland Road, Hove. Photograph dated 15th March 2008.